We have taken traditional tub to an absolutely new level. 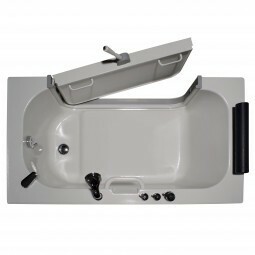 With this design, you can sit comfortably into the tub without having to lower yourself to the floor. 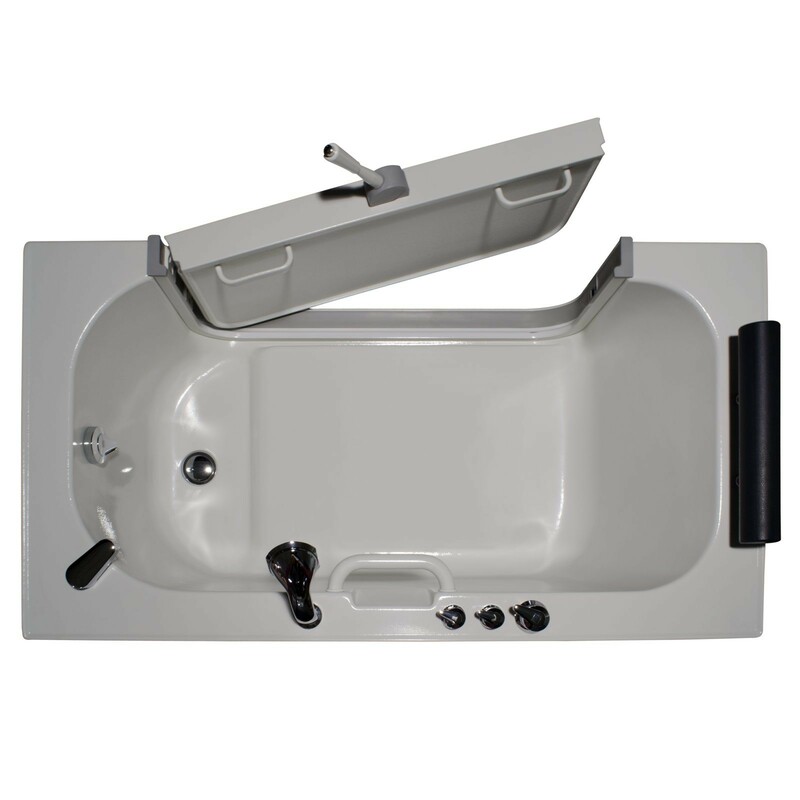 This tub is excellent for people who need assistance when bathing, and for people who need easy access. There is no chance of a slip and fall because sitting down and getting up from the tub is as simple as sitting into bed. 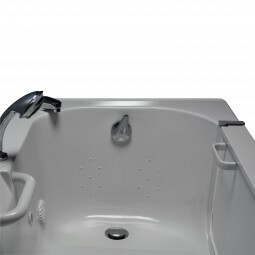 This model is sold inclusive with hand held shower and faucet. 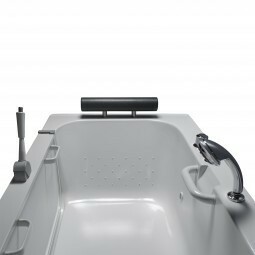 This sit-in tub uses 3 times less water and drains 3 times quicker than most walk-in or accessible tubs on the market. 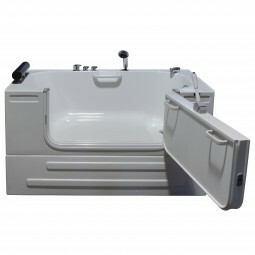 It will fit through all doorways, unlike many walk-n tubs, and can be easily assembled on the spot. The bottom of the door passes above most toilets when opening and closing. The tub door has an effortless button-release opening and locking mechanism that helps preventing the door from opening accidentally. The entire front skirt/panel is removable and creates space for easy drain installation and access to all components underneath the tub. 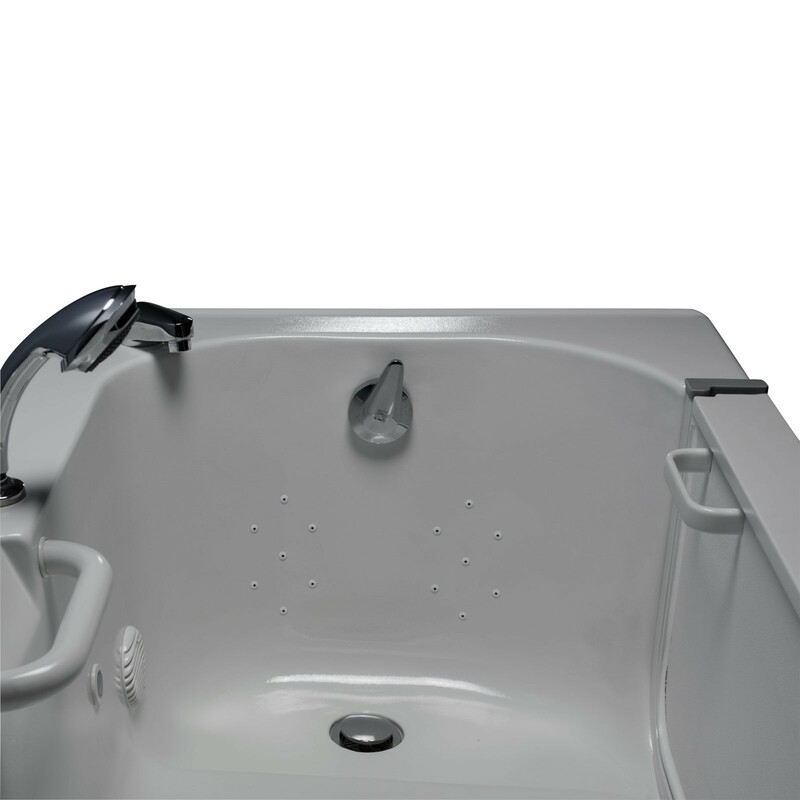 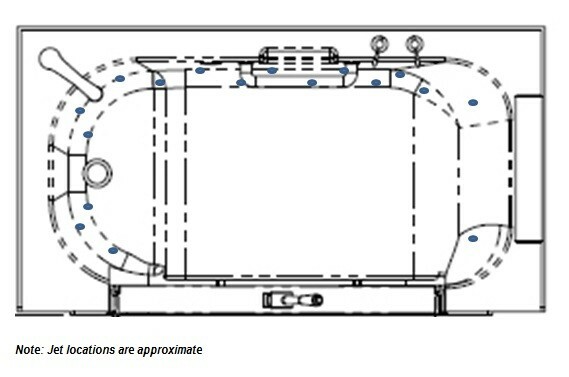 The tub has a headrest and grab bars for extra safety and convenience and a 2 inch deep reservoir near the drain and foot area for the purpose of allowing the user to test water temperature before entering the tub. 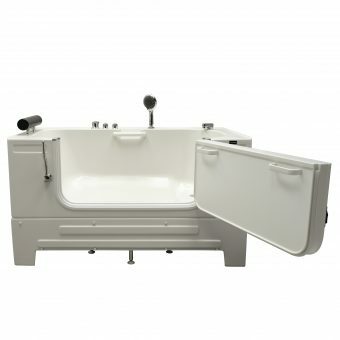 This sit-in tub comes in 2 boxes containing the frame and the tub. 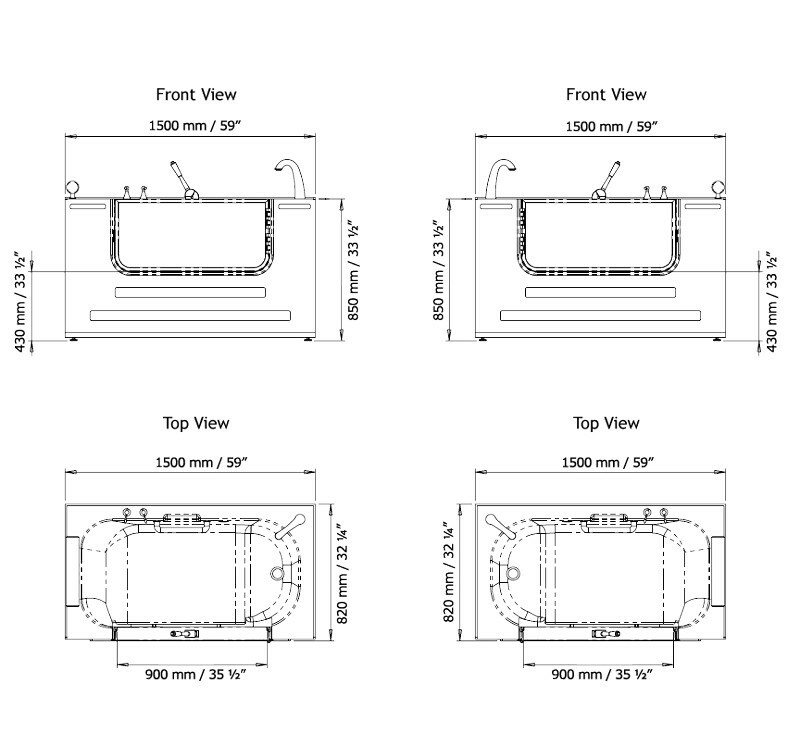 The metal frame can be built into any desired location, and tub is then easily set onto the frame and secured with already pre-fastened brackets. 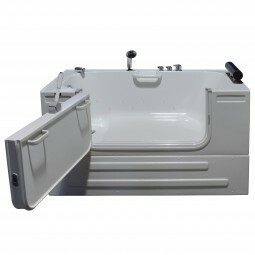 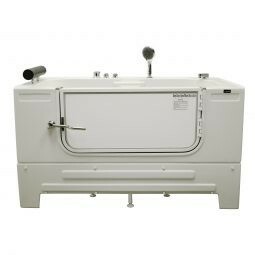 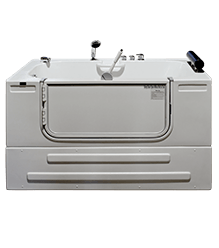 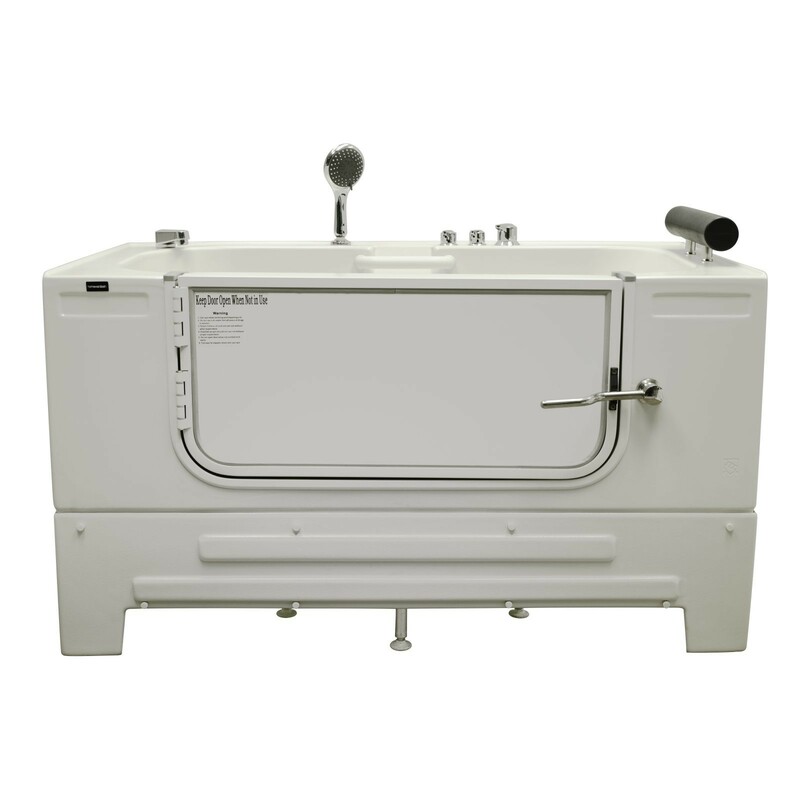 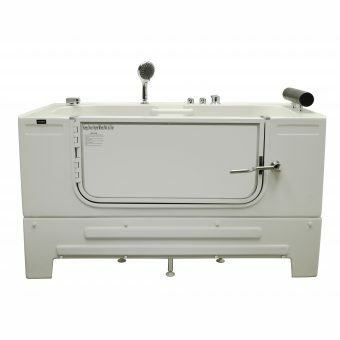 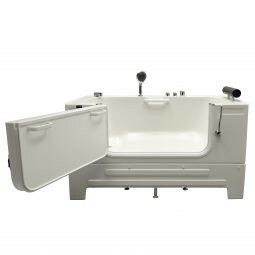 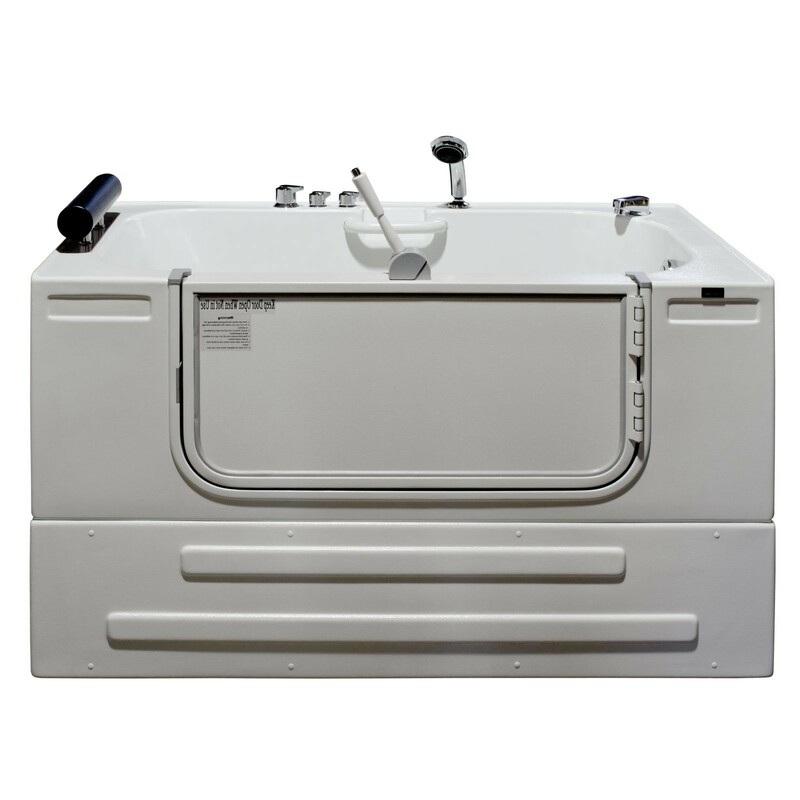 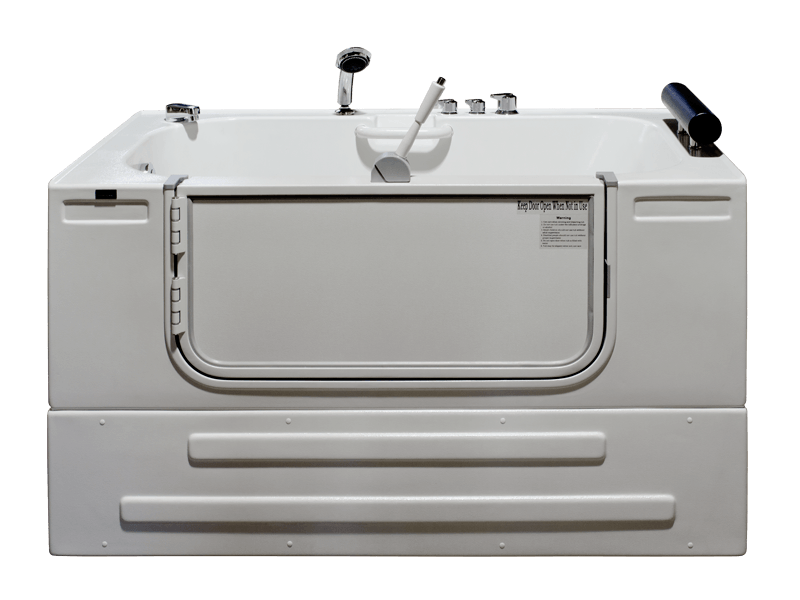 Even when considering its many advantages over most traditional style walk-in tubs, the sit-in tub is available at one of the lowest prices on the market. 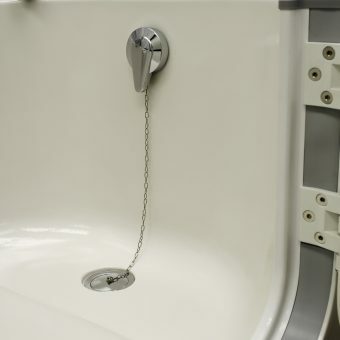 Note: The flexible drain hose that is included with this unit is for installation into a floor drain only. 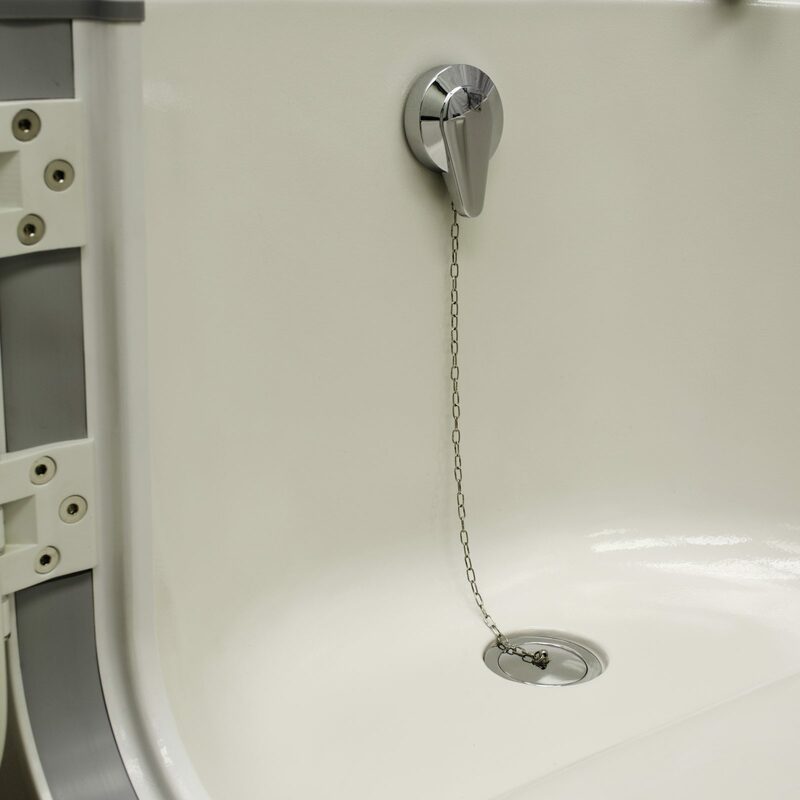 Substituting the existing drain show for a different one will not void the warranty as long as there is no damage or evidence of misuse.